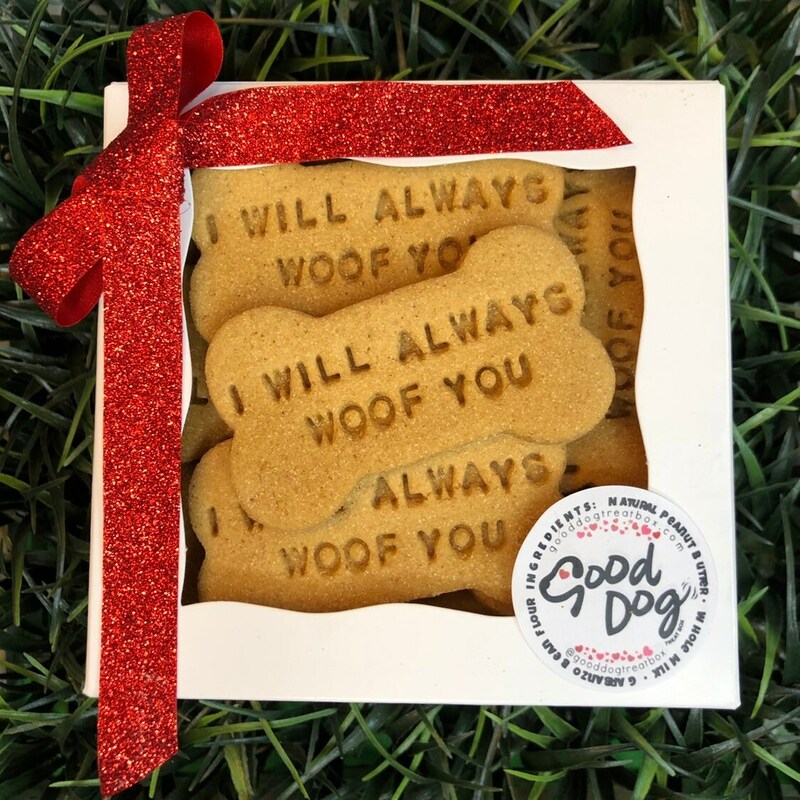 "I Will Always Woof You" treats are Grain FREE, made with creamy garbanzo bean flour and all natural peanut butter. Treats are perfectly packaged and make PAWESOME doggie gifts. Treats are roughly 3". Cookies are cute but two of them were broken and I had to open the box and move then around so you could see the words. Smelled yummy and I'm sure the dog will love them.